Conor Mcgregor Disses Floyd Money Mayweather & Tenshin Nasukawa. 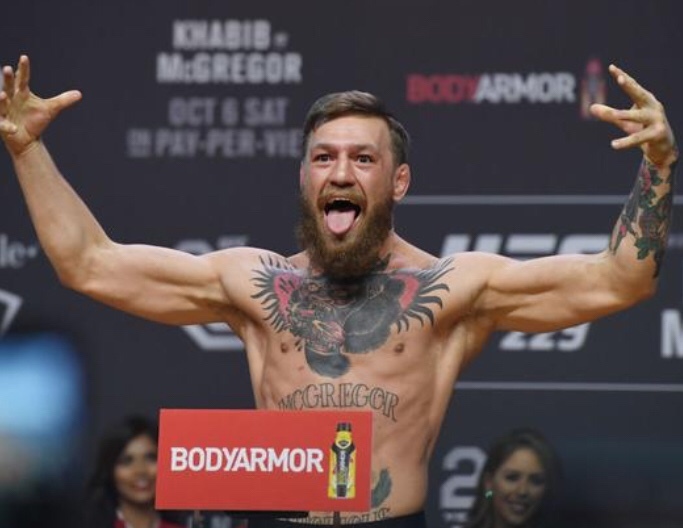 Conor McGregor comes for Floyd Mayweather after the latter announced that he’ll be coming out of retirement (again) for a fight against undefeated kickboxing champ Tenshin Nasukawa at Rizin 14 in Tokyo, Japan on December 31. While we’re here, it’s worth noting that Nasukawa is 27-0 in kickboxing and 4-0 in MMA. The rule set for Mayweather vs Nasukawa has not yet been announced but it is expected that the match will be of the boxing variety, just the way Floyd likes it.